Pune: The work of Pimpri-Swargate Metro corridor will now be fast tracked after the approval from from the Ministry of Defence (MOD). Now there will be construction 85 pillars for metro station and corridor in Range Hills, Khadki. The work will start next week. Pimpri-Swargate route is about 16.58 9 km. 11.50 km of it elevated; So the 5-km route is underground. While construction of the corridor for the elevated metro, the route of 1.75 kilometer between Range Hills and Dapodi is going through the jurisdiction of the agencies under the Ministry of Defence. Mahometro had been pursuing for 10 months in the Defense Ministry for permission to allow them. Finally, permission was received on Thursday night. Meanwhile, the officials of Mahamatro met the concerned officials of the Department of Defense on Friday; He also talked about where and how to start the work. Now work is going to start after Ganeshotsav next week. The first phase will start from Ranghe Hills to Khadki and then from Khadki to Dapodi, said Mahamatro’s officials. 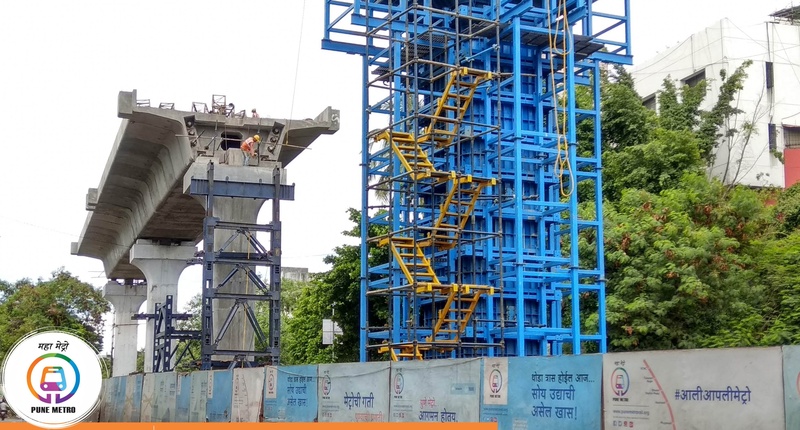 The foundation of 200 pillars has been completed on the Pimpri-Swargate route till Bopodi; While 165 pillars have been raised. The works of Sant Tukaramnagar, PCMC Pimpri, Phugewadi and Kasarwadi metro stations are also underway. The metro route will be around 800 meters of the road near the Khadki. The BRT route is also proposed on the same road. For this Pimpri-Chinchwad Municipal Corporation is following up with the Defense Department; But they are have not got the approval yet. This place will have about 30 pillars for the Metro.